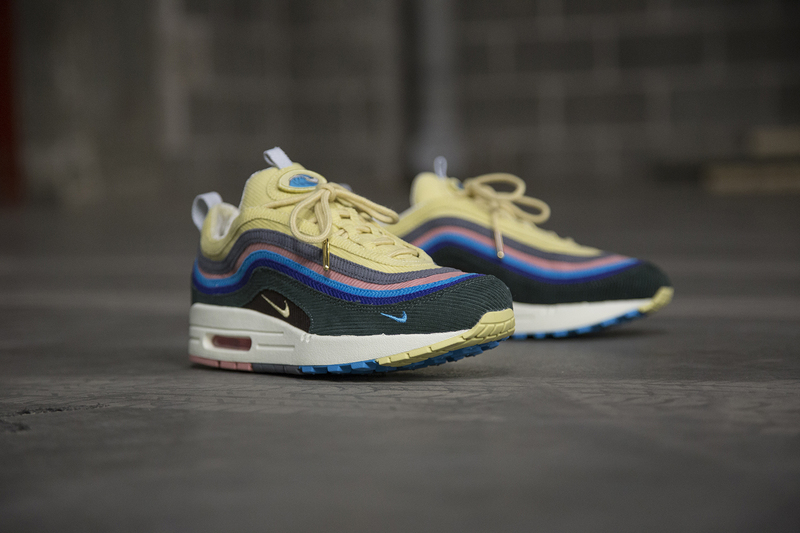 Unquestionably one of the most anticipated releases ahead of Air Max Day this year is Sean Wotherspoon’s winning entry to 2017’s ‘Vote Forward’ competition, an international event that pitted 10 creatives against each other to come up with a brand new rendition of the Air Max formula. 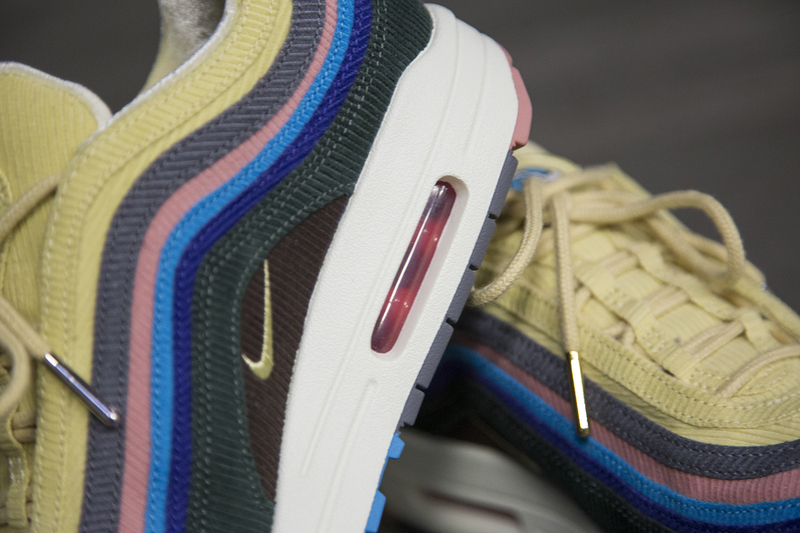 There were a host of very interesting entries, but in the end Sean’s marriage of an Air Max 97 and Air Max 1 won the public vote. To put a bit of context behind this release if you’re unaware of him, Sean is co-owner of Round Two, a 4 door curator of only the very best secondhand and vintage streetwear out there. In opposition to your run of the mill ‘vintage’ shop, each item is handpicked/traded for/bought in, in order to help you get the best items at the best prices. Hours are spent trawling through thrift shops, getting up at 3am to go to the largest Flea Market in the world, and travelling around to find unearthed gems that may have never even been worn in their 30 year existence. Sean’s passion for footwear is infectious, and to hear him talk about something he loves so dearly gets you fired up. From years of collecting vintage shoes and clothing, Sean’s massed an incredible memory based (and probably physical) mood board of archive references to draw upon, and the finer details are always paid close attention to. For his release, he channelled elements of vintage Nike Apparel from yesteryear through both the material selection and colour choice. 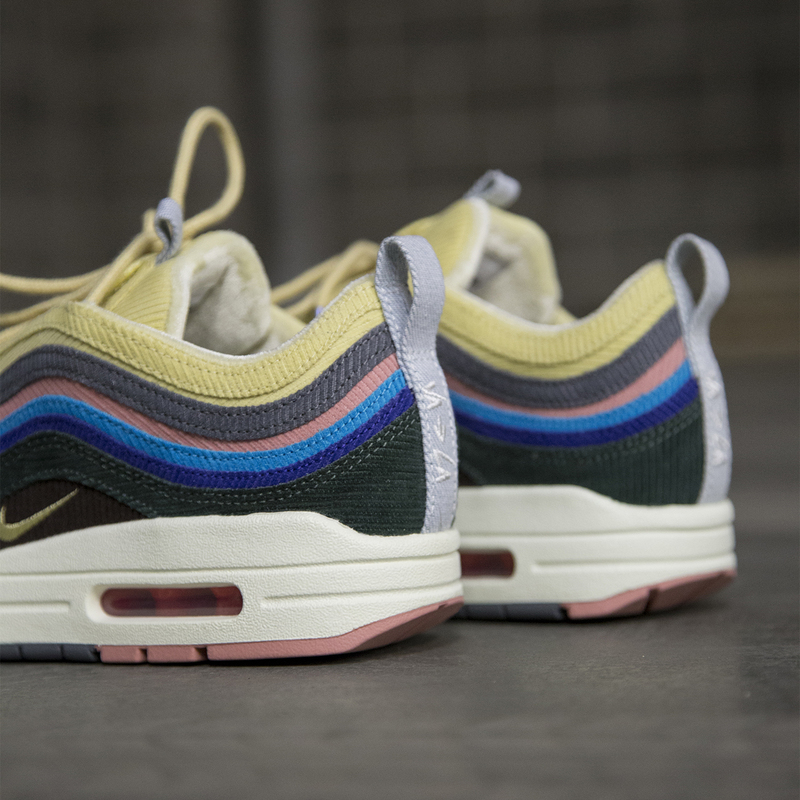 The upper takes the reflective waves of the traditional Air Max 97 and replaces them with varying colours of corduroy, a material not often seen on an Air Max shoe, but one which seems to be making somewhat of a reintroduction on future releases, no doubt down to Sean’s influence through this creation. The midsole unit comes from 1987’s original icon, and the rainbow flavoured outsole takes colour-cues from those found on the upper. Looking at the details, the tongues bares a velcro area allowing you to replace graphic that are included with the shoe, along with premium insoles that feature the classic ‘Have a Nike Day’ smiling face. 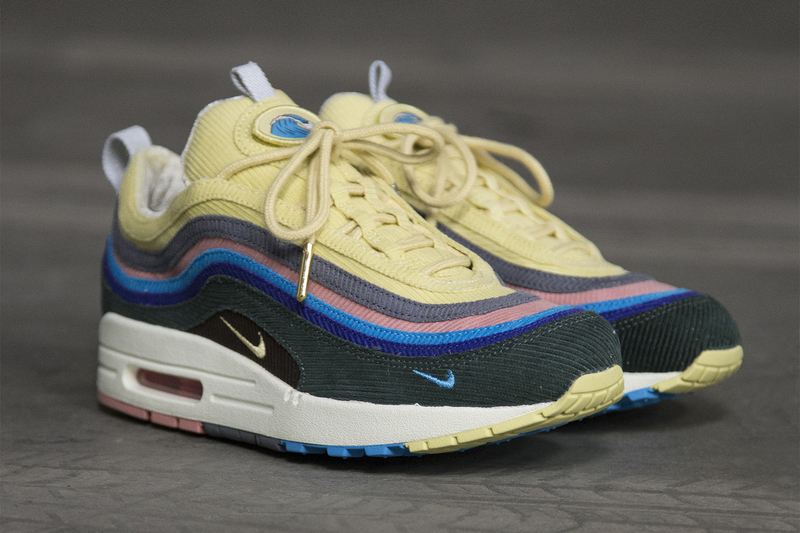 The Nike x Sean Wotherspoon Air Max 97/1 VF will be available via the size?previews app and in all size? stores on Saturday 24th March, priced at £125.